In an interview prior to the announcement of the Brent Christensen leaving the Mississippi Development Authority, the new head of the Greensboro (N.C.) Partnership sat down with the Triad Business Journal. 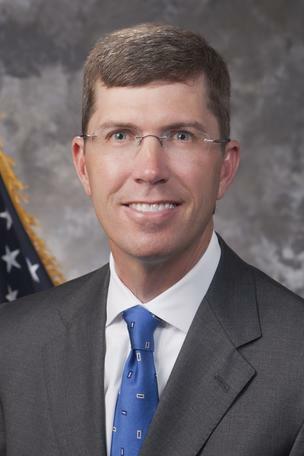 Brent Christensen, current executive director of the Mississippi Development Authority, has been named the new CEO and president for the Greensboro Partnership. The nationwide search for an economic development guru to lead the Greensboro Partnership has been the subject of much discussion since the retirements of Pat Danahy and Dan Lynch. The partnership this week announced it has selected Brent Christensen as its CEO. The 45-year-old Indianapolis native grew up in Tampa, Fla., and spent some time in North Carolina while studying economics and public policy studies at Duke University. He obtained his MBA at the University of South Florida and served for 10 years as president and CEO of the Gainesville Area Chamber of Commerce. He currently is the executive director of the Mississippi Development Authority, a role in which he entered by gubernatorial appointment in 2012.